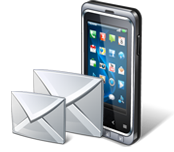 Bulk SMS Utility – Professional is used to send bulk text messages from PC to other mobile phones with the use of commonly used GSM or any Windows based mobile devices. Now broadcast multiple sms related to Job Notification, Advertising Campaigns, Product Launching, News Alerts etc. Mobile SMS utility sends group text messages or global sms from your PC without requiring any Internet connection gateway. Using Bulk SMS Software, you can easily communicate with your family members, relatives, office employees, target audience, probable clients, customers etc. SMS Gateway Software supports worldwide sms by sending both national and International short messages. SMS Broadcasting program sends standard sms or notification sms as required. Compatible with major GSM or Windows mobile phones. 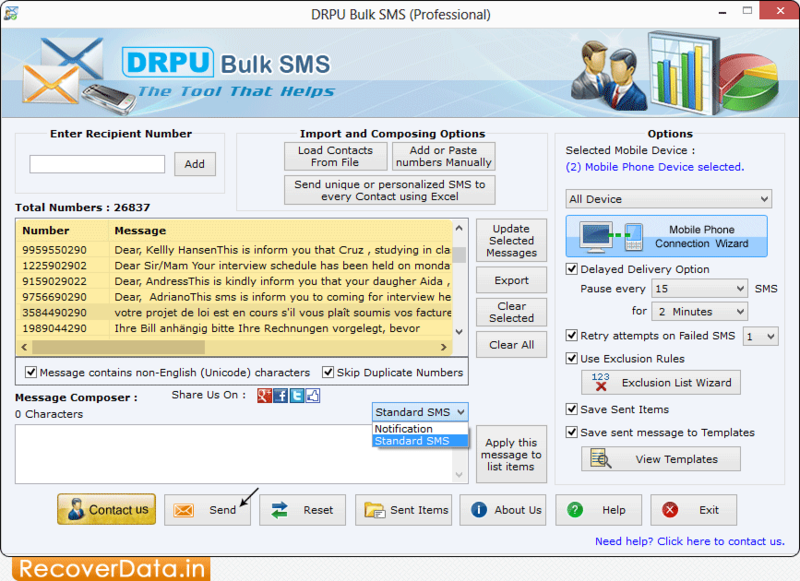 Software facilitates you to send bulk messages from PC to multiple mobile contacts. Supports both national and international mobile phone networks to broadcast messages . Add phone numbers by loading a text file or enter the numbers manually. Advance settings to remove duplicate numbers.